Madhuri Dixit-Nene has launched her online dance academy \'Dance with Madhuri\', with an aim to promote healthy life through Indian forms across the globe. 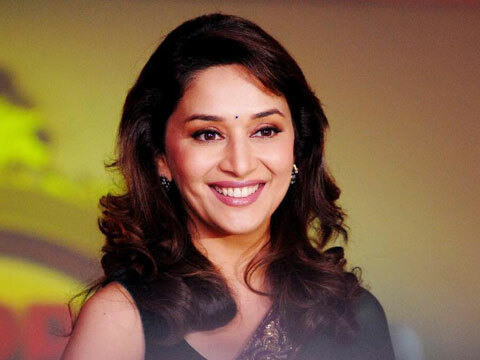 How ‘Dance with Madhuri’ version 2.0 will lead healthy life? Dance is used to decrease dementia and cure many diseases. While dancing, one can burn around 400 calories in 15 minutes. In dance, you engage your mind and body which is very essential for reducing depression. As a medium, dance removes the onus. If you like dance and you are moving with it, you will lose weight, you will lead healthy life and be happy. We are targeting from 8 years old to 45 years old male and female. What inspired you to come up with this idea? Why only online? I want to teach and show them the real passion and happiness I get through dance. This inspired me reach to masses and Dr Shriram Nene helped me in turning my dream into reality. We decided to go online because of its unlimited reach. In class you can teach only 30 people, but when you go online, you can reach 300 million people and 7 billion people globally. Celebrities like actors and crickets have already launched their fitness institutes and dance academies, why did you enter so late? If you look at those academies, they can scale up on the ground. Ours is very different concept, it’s a first celebrity-backed online presence. If you ask about technology media, then I don’t think they are mutually exclusive. In fact, the academies on the ground have become a part of this issue, but our platform is an aggregator of all such people and not a standalone academy per se. Our platform helps make best of everyone and bring them together. What kind of challenges you faced while launching DWM? Finding dance fans within India is a big challenge, whereas globally it’s not. With initiatives like Digital India, Skill India and Make in India, Indians will certainly be in a position to compete with anyone on the planet. So, we hope that more and more dance lover will follow the digital platform explicitly. We are collaborating with all the dance schools and institutes in the world. There are many dance institutes coming onboard in different ways, but it’s more of a culture thing rather than business. From business stand point, it’s our own initiative. We are actually looking at capitalising and scaling this business. That’s why we have built up the new version and believe that we can take it to the whole planet. How much amount of investment is involved? And what are your expectations about RoI? I can’t comment on the investment part as of now because we are heading for a funding round. Return on Investment (RoI) depends upon on the revenue model. Our first source of finance was angel funding and now we are moving to VCs and PEs. What are your expansion and promotion plans? We are going to take DWM global. We are in discussion with people in US, UK and South America to push this Indian project very quickly. We are aiming to reach many people as we can. Presently, we have around 2 lakh students in 200 countries and planning to make it to a million students in next two years. Promotion will be the combination of online offline activities. The bottom line is we do the digital marketing first and then hold the competitions and festivals. Can we see DWM ever going offline too? I don’t see that. We may create space in sports academies, gyms and institutes. The key is that we don’t want to build infrastructure, it’s expensive. How do you see the wellness industry in India? There is huge opportunity into the wellness industry in India to help people keep healthy. Levo Spalon: Modern interpretation of luxury..